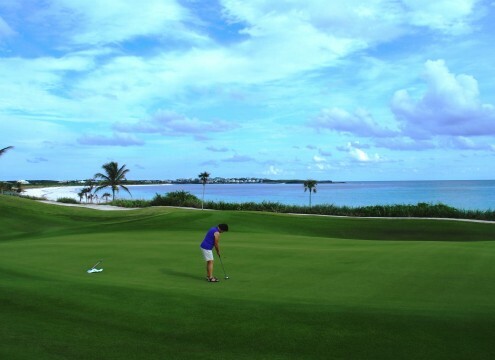 Why is the Abaco Club regularly recognized as one of the best courses in the Caribbean? For starters, the course is home to a massive world-class practice area. Tour professionals like Clarke, Westwood, and Fowler find the Abaco Club to be the perfect retreat for getting away from it all while still honing their game. 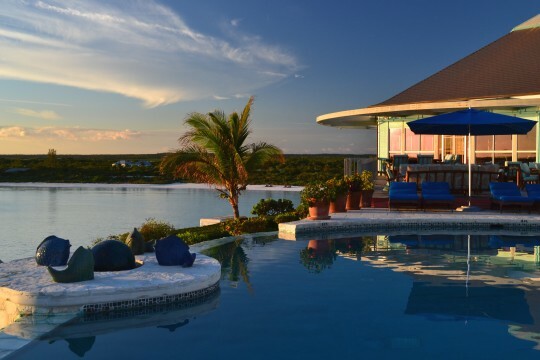 If you’re someone who gravitates toward an island vacation because of the potential for an “only in the Caribbean” surprise, then you’ll love the Abaco Club. Each afternoon the golf course receives a multi-colored group of visitors with a strange sense of humor. Around the 13th hole you’ll hear a clattering of laughter atop the palm trees flanking the fairways and greens. 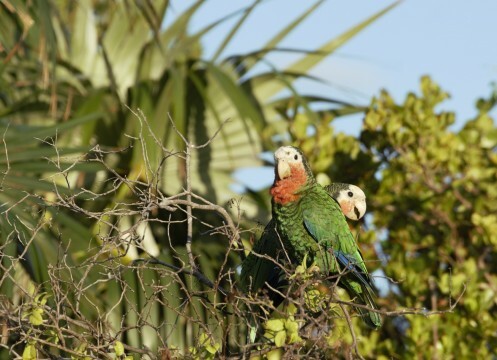 On Abaco, the saying goes that you’ll “hear them, before you see them” when talking about an species of parrots who’ve chosen golf as their favorite spectator sport. The Abaco parrots are so beloved that you’ll see their mascot image on each flagstick. 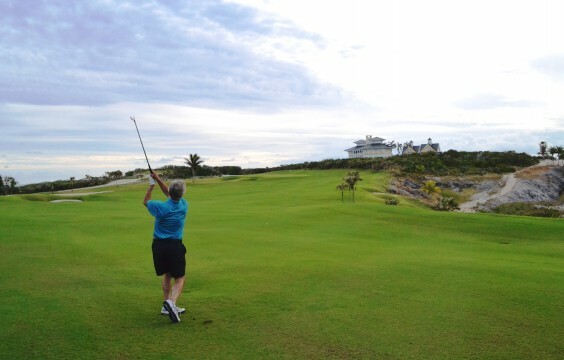 Ultimately, the Abaco Golf Course’s reputation is earned from the quality of golf experience. 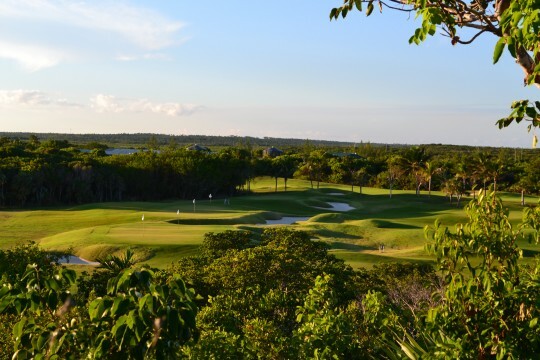 In two words, Abaco Golf Course delivers “personality plus.” Then again, the difference between Abaco’s two nines can be as contrasting in personality as Dr. Jekyll and Mr. Hyde. This personality shift can be tested by holding your finger to the sky and feeling if the tradewinds are present. 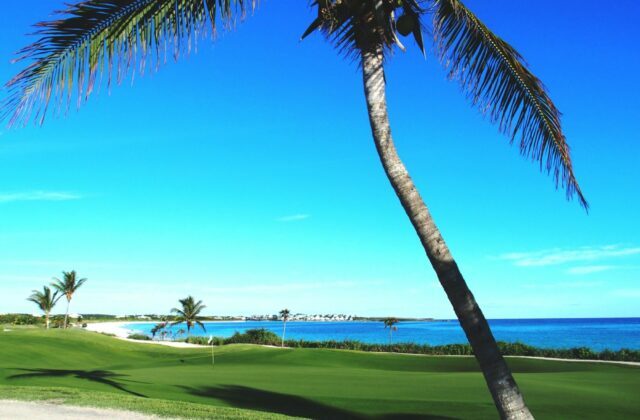 The front nine is typically library calm with barely a breeze coming from the tranquil Sea of Abaco. The front side also features Blue Lagoon moments that will have you digging for your camera as much as your sand wedge. The back side is where extraordinary sounds are exceeded only by dramatic island views. Once you get past the jovial chatter of the parrots, there’s a more foreboding sound that makes golfers pause. Despite Abaco’s perennial sunshine, when you reach the 16th hole it’s possible you’ll fear thunder is on the horizon. The source of this pounding is present at the tee box of the Par 3, 17th hole. It’s from this vantage point you’ll experience a crescendo of ocean waves on the Atlantic side of the course. It’s like nature’s drum preparing you for an Abaco finale that heightens to a Caribbean Manheim Steamroller encore. Add this reverberation to finishing holes that are straight out of architectural digest, and it’s likely you’ll remember Abaco Club as a visual and auditory symphony at sea. After turning in your golf clubs at the Pro Shop, you flash back to what just transpired. 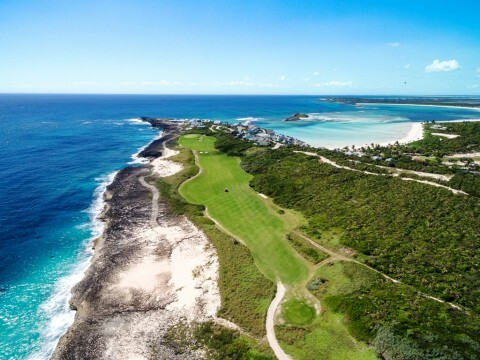 Abaco Club at Winding Bay just delivered epic ocean holes, canyon-like pot bunkers, artistic paspalum fairways, parrots that double as comedians, roller coaster greens, and a trio of finishing holes that invigorated your senses. 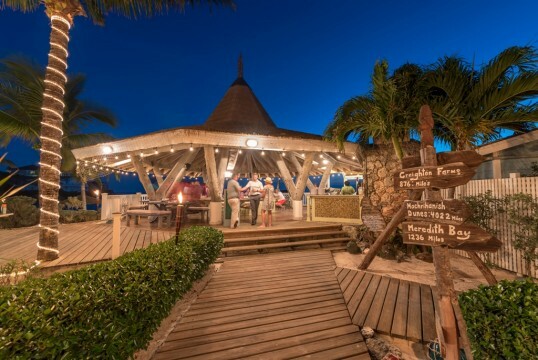 Your playing partners aren’t quite ready to call it a day, so you head over to Buster’s Beach Bar for a cold one. As you gaze out on the Sea of Abaco, your group raises a glass to good friends, great golf, and a man born 150 years too soon.